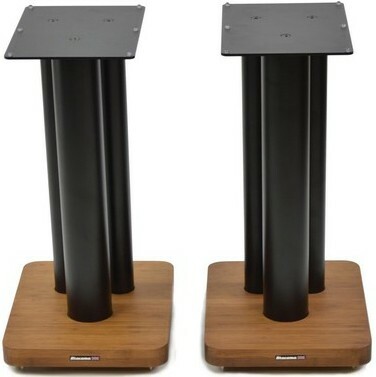 Moseco XL 600 is a chunkier version of the award winning Moseco 6 speaker stands (same 600mm height), with extra-wide columns to support larger speakers. Atacama Moseco XL600 are a chunkier version of the award winning Moseco 6 speaker stands for larger bookshelf speaker models. Available in a choice of bamboo finishes (supplied as matched pairs), Moseco XL features a sturdy 5mm thick carbon steel top plate for extra rigidity. To protect and dampen the cabinet of your speaker, four domed isolation gel pads are also included for each top plate. The XL600 has a overall height of 620mm excluding floor spikes and gel pads. 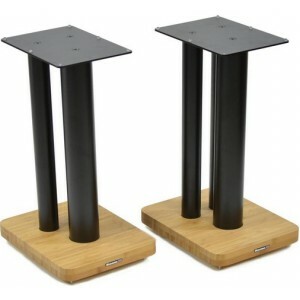 We also sell other size Moseco stands and these bamboo stands are style match for Atacama 60-40 or 60-40 SE hi-fi racks. For maximum stability, Moseco XL stands have been developed around a triple carbon steel tube configuration. These tubes consist of large twin rear 50mm diameter poles matched to a single over-sized front 75mm diameter pole, all painted in an attractive Satin Black finish. All three tubes are designed to accept Atabite SMD 7.5HD filler which will add mass and reduce ringing (two packs per stand would, under most circumstances, be sufficient). Moseco XL also features hand finished 40mm thick Bamboo base panels which, as well as being aesthetically pleasing, has resonance dampening acoustic benefits when compared to the more traditional metal or glass materials used in speaker stand base plate design. To maximize the performance of the Bamboo, the three steel tubes are located into individually recessed holes that allows improved lateral support, so aiding rigidity and stability. Each Bamboo base panel comes complete with four adjustable 8mm Bright Zinc Plated steel spikes with locking nuts to help with leveling and to add an additional level of isolation ( two packs of Atacama HD-S spike shoes can be purchased separately should you require the stands to be positioned on a delicate floor covering). For additional stability and sound dampening, the Atacama Mass Loading Plate pack can be used with Moseco XL. 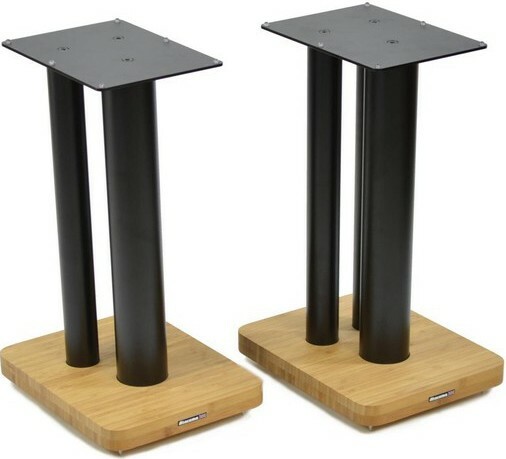 All Moseco XL Speaker Stands are manufactured in the UK. Please Note: Bamboo is a natural material, so some slight colour variance between panels will be present and the colours will mature over time or if left in direct sunlight. This slight colour variation will also apply if you attempt to match a pair of Moseco speaker stands to a Atacama bamboo based equipment support. Atacama Audio source all Bamboo used in their products directly from sustainable forests.